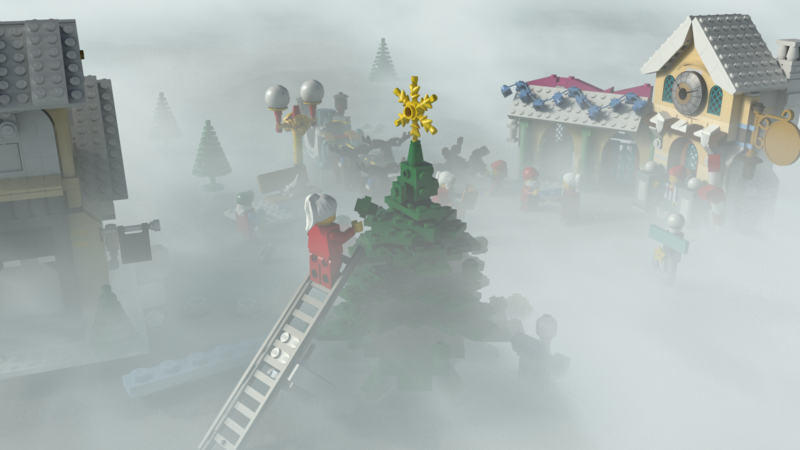 First of all before forgetting I would like to thanks mecabricks.com (http://www.mecabricks.com/) for creating such a wonderful software to create legos and also the creator of the replica of the xmas models. I’ve taken the modelled, exported, set up in maya, created some additional remeshed models (created the lego logo+ some box that you can extrude in order to substitute the small bricks if you need a closeup). A huge thanks to Glenn that exported and cleaned the maya scene. ALSO I NEED HELP (environmental modellers for the new challenge that will ge ready in a month or so depending on the help and time I can do for modelling it ) so modellers and testers please contact me. If posting your own rendered images or video of this scene anywhere out of this thread, please credit mecabricks (and put an I like on my behance portfolio . Use any 3d software and techniques you would like. Didn’t you forgot to link the texture with the files ? And here is my first fast set-up, I changed every thing to MR MILA_material with the plastic preset. Great challenge! I’m feeling like twenty years ago ;). The snow in the light version looks good! This is only a test of that marvelous model scene. With blender Cycles and Freestyle for the “foreground” part. Vray 3.10 , no postwork. Giorgio What an Awesome Challenge! Alright WIP 1 Starting to really light the scene an get a feel for what im going with here. I like the thought of a christmas scene in a display with dim lighting. Really giving the chance to create some kind of realistic lighting with a subtle story.